Announcing I’m alive~^^ Though I’m late, the day which I’m sincerely grateful to has passed! Already a veteran now TT TT Thank u always! 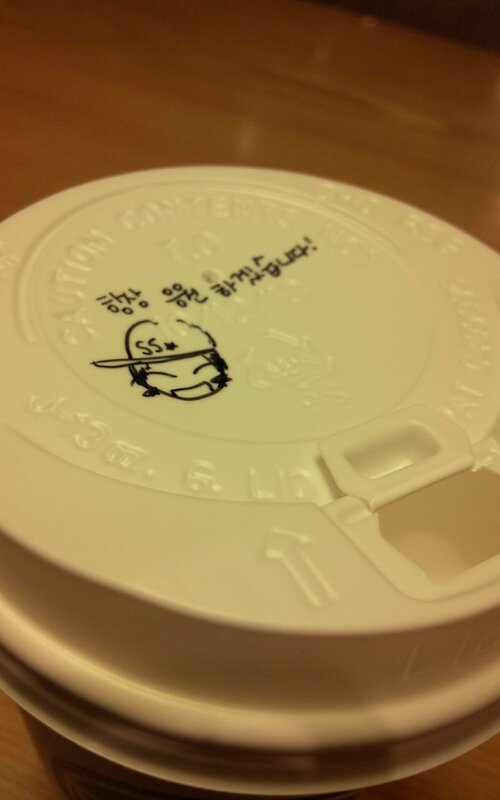 And during the difficult days, I went to this cafe by chance and had this on the top of the tea I ordered..!^^ energy surged out!^^ Thank you! This entry was posted in Translation, Twitter and tagged Kim Kyu Jong, Park Jung Min, Twitter. Bookmark the permalink.